As Kaufman notes, both Fred Trump and his son would be investigated by the government for allegedly racist leasing practices. God dont know much about any color lines. The Soviet artist Vagrich Bakhchanyan hoped to subvert his government by using its own language against it in his art: “He made works on paper in which appropriated texts and images were combined and layered using transfer techniques, some utilizing official notices by Soviet administrators—the terse, usually handwritten flyers that punctuated the everyday life of Soviet citizens with warnings, admonitions, and exhortations. One such announcement scribbled on a page torn out of a logbook reads: ‘Comrade residents! On Monday the 19th there won’t be any cold or hot water. We ask you to close the taps and shut off the heating system. 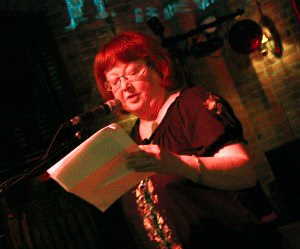 The Singers' Club of Cleveland is a 123-year-old men's chorus. 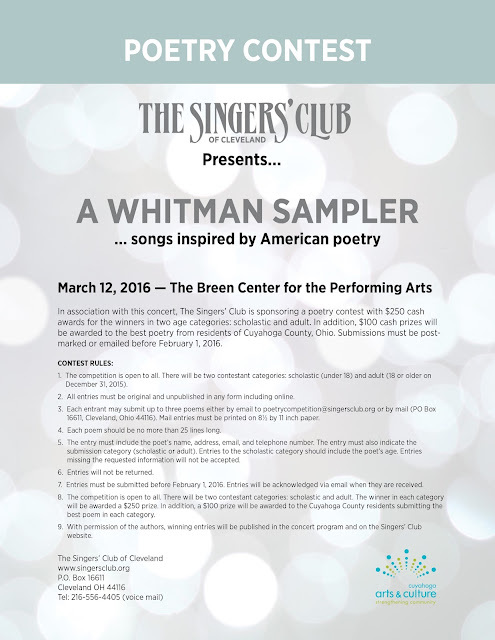 Their concert in March ("A Whitman Sampler") will feature songs inspired by American poetry. Their guest performing group for that concert will be Distinguished Gentlemen of Spoken Word. 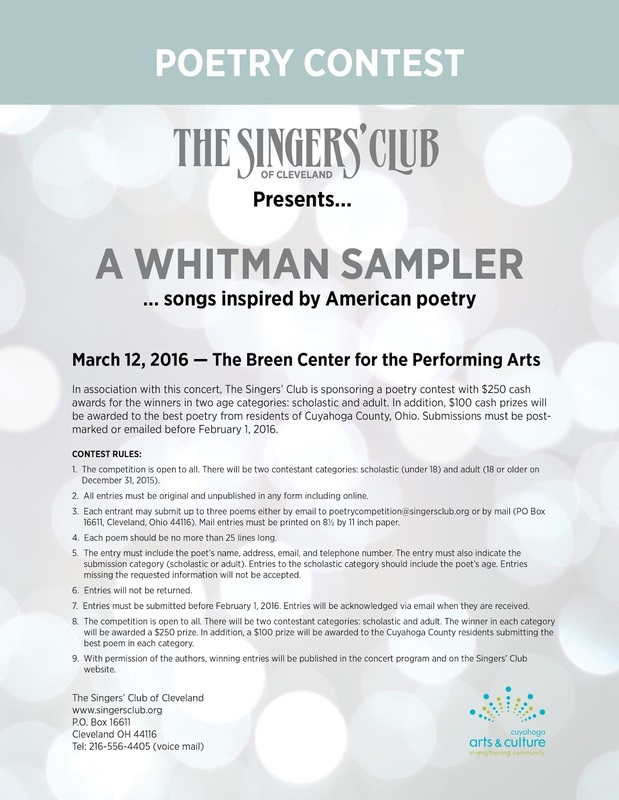 In conjunction with that concert, The Singers' Club is sponsoring a poetry contest with $250 cash prizes for the winners and a $100 prize for the best submission from Cuyahoga County. For more about the Singers, please visit www.singersclub.org.